Real estate issues require local resources and lawyers with expertise in a broad range of legal issues that often arise in the context of real estate transactions. Mitchell Williams’ Arkansas-based real estate lawyers have local experience across the state from northwest Arkansas, to Little Rock and Jonesboro. Our lawyers work with clients to provide practical real estate advice in areas including structuring, tax and tax abatement, zoning and land use, financing, economic incentives, eminent domain, environmental concerns, construction, leasing, approvals, and other regulatory matters. We act as strategic advisors to our clients to help ensure that business objectives are met. As a full service firm, Mitchell Williams’ Real Estate team has the ability to pull resources from complimentary areas of practice including; tax, litigation, and public and municipal financing to help ensure a successful result. Purchase and development of office buildings, office parks, warehouse and distribution facilities, industrial parks, residential multifamily complexes, single-family residential developments, medical centers, nursing homes, and energy related projects. Work with developers (for profit and nonprofit) investors, lenders, syndicators, loan servicers, state and local housing authorities and agencies, managers and contractors on all aspects of affordable housing development including tax-exempt and taxable multifamily housing bonds; low-income housing tax credits, new market tax credits, historic rehabilitation credits, HUD/FHA multifamily programs, HUD transfers of physical assets, special needs HUD multifamily programs, senior housing, HUD regulatory compliance, community development block grant program, HOME investment partnerships program, federal home loan bank affordable housing program, section 8 contracts and compliance, and prepayment and preservation. Provide insight and representation for clients seeking economic development incentives including grants, low-interest loans, tax credits, tax exemptions, pooled financings and tax-exempt financing. 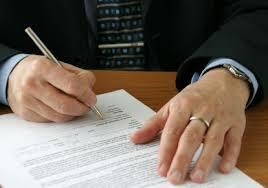 Assist property owners and developers obtain planning and zoning approvals and permits. Represent clients in appeals before municipal zoning hearing boards and trial and appellate courts. Mitchell Williams' lawyers also regularly assist clients with regard to other development issues involving easements, site development, and access issues. Assist NMTC participants, particularly Qualified Active Low-Income Community Businesses (QALICBs), in gaining competitive advantages through planning and structuring complex NMTC financial arrangements. Representation of financial institutions in real estate collateralized loans and real estate owners in selecting financing products to best suit their business needs including traditional mortgage loans, mortgage securitizations, off-balance sheet financings, interest rate swaps, bank syndications and bond market financings. Representation of landlords and tenants in leasing transactions including build-to-suit leases, turnkey leases, tenant improvement allowance leases, subleases, office leases, retail leases, warehouse and industrial leases, and manufacturing facility leases. Representation of clients in matters of foreclosure judgments, ownership disputes, easement and boundary disputes, lease disputes, right of first refusal, buy-sell agreements, specific performance disputes, tax appeals, land use and zoning appeals, and eminent domain and condemnation matters. Representation of property owners and developers in the appeal of real estate tax assessments.